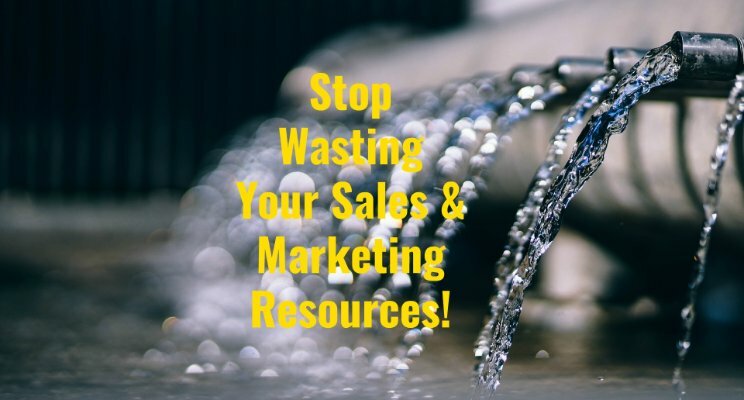 Home / Marketing Strategy, Distribution Strategy, Sales & Marketing Management / How to avoid wasting your marketing and sales resources in the medical device industry? What’s happening next? You see month after month your sales developing in the different markets you’ve launched your new solution into. Unexpectedly, in some places, it looks like all the energy and good thoughts from the early stages are not generating the expected return on this strategic investment. Now, salespeople will be « accused » of not applying the set strategy, not using the appropriate pitch, not visiting the right customers, having their own agenda, etc., and marketing people of having no clue when it comes to « my » market specificities and needs! Every customer is unique! … Sounds familiar? OK, let’s stop the finger pointing here. So, how have you been dealing with such situation? (How) do you measure and verify what message your customers have received, retained and absorbed, should they buy ultimately from you, or not? And how much has « evaporated » along the way? How to correct it? Better know quick … don’t you think? It would be really great to share your practical experience, success stories or failures (no shame, always painful, but a great learning exercise!). Let’s look at the entire commercialization spectrum, from ideation to distribution, and see how things could go better, and investments made are ultimately not « for the birds »! What has to be avoided, what absolutely needs to be done? Do you (always) perform the appropriate market research and investigation, and do you have a clear understanding on how you’ll position your solution for each key market you’ve targeted? Let’s face it, you may have to find such info by yourself (off the shelf reports might not exist, you have no budget to spend there, etc.). Have you been engaging with any Key Opinion Leaders during the preparation phase? And after? If KOL’s are positive about your new solution, this will be known quickly by their peers and the marketplace! Thanks for sharing your thoughts and best practices!